After endless false starts and legal battles, the long-awaited Tupac Shakur biopic is finally being resurrected. 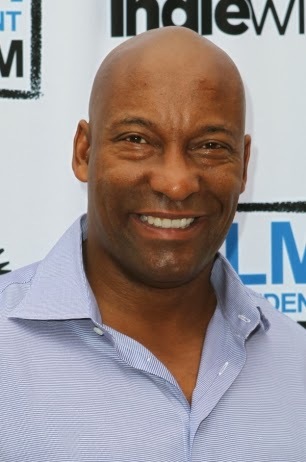 According to Variety, the as-yet-untitled project will be written, directed and produced by Oscar-nominated filmmaker John Singleton (Boyz n the Hood, Four Brothers, 2 Fast 2 Furious). Singleton is expected to start working on the screenplay immediately, with the goal to start production in the summer. The choice of director makes sense: Singleton was both a friend and collaborator of Shakur's, having directed the rapper/actor opposite Janet Jackson in the 1993 romantic drama Poetic Justice. "Tupac was the guy who I planned to do a lifetime of films with," Singleton says. "His passing deeply affected my life as well as countless people in this world. His life story is as important to my generation." The film – which will reportedly focus on the rapper's rise to fame and 1996 murder – has endured its fair share of complications: The project, once known as Tupac, was originally set to move forward in February 2011, but was delayed by a lengthy legal battle between Morgan Creek and Tupac's mother, Afeni Shakur, who fought for extensive creative control. After signing off on the project, she was sued by Morgan Creek for continuing to negotiate after the deal was completed. Afeni then followed with a countersuit, claiming there was no deal. Both sides eventually reached a settlement before the case went to trial in 2011. It remains unclear who will portray Tupac in the film, though the announcement of Singleton's involvement is a major step forward.